The third in a series of columns in which Nativo CEO Justin Choi shines light on the digital advertising ecosystem from different angles is now live on Digiday. Previously Choi focused on “reach at all cost” mentality of advertisers and “fill at all cost” mentality of publishers. In his latest, he looks at opaque pricing tactics of technology vendors and calls all ecosystem partners to adopt more transparent pricing practices. As native advertising continues to capture growing amounts of advertising share, it has evolved from a means to strengthen consumer engagement to a powerful tool to influence consumer behavior at all stages of the decision-making process. Nativo commissioned comScore to evaluate brand metrics from 25 national campaigns and determine True Native’s impact at critical stages of the purchase journey. Results conclusively revealed Nativo’s signature format, True Native, created significant lift across five brand metrics throughout the entire purchase journey, including Awareness, Ad Recall and Purchase Intent. 78% of CMOs believe custom content is the future of marketing. (Source: DemandMetric) As the growth in content marketing continues, many publishers and marketers lack the bandwidth and expertise in content creation to scale their content marketing initiatives. Content Templates, the newest addition to the Nativo platform, simplifies content creation for publisher and advertiser partners. Content Templates ease the content creation process by providing users with pre-built article options based on industry best practices. Pre-built templates give content creators a needed head start. Simply scroll through the Content Template options for inspiration, find the perfect template, and pop in your branded content! Template options include listicles, lookbooks, visual essays, and infographics, just to name a few. Simply replace placeholder copy and images with brand assets and the creative is complete. Get started today! The Related Content Widget enables advertisers to leverage existing creatives as companion assets to increase brand impact. Companion assets are a value-add for advertisers as they provide valuable branding and engagement opportunities. In fact, a recent study by Forbes and IPG Media Lab found that aided ad recall was 60% for branded content with display, compared to only 25% for display alone. The Related Content Widget runs on the Native Article page and serves additional sponsored content from the advertiser. 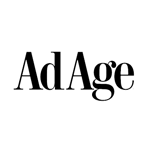 This is a key value-add publishers can now offer advertisers. In the world of digital advertising, publishers struggle with demand transparency and measurement. To help solve this problem and to empower publishers, Nativo added new metrics on the Demand Reports tab to enable deeper reporting insights. These new metrics include Demand Category, Demand Source and Buyer Organization. The Demand Category is defined by the relationship with the selling entity and includes: Direct, Preferred, Marketplace and Third-party demand. The Demand Source is defined by the marketplace where the demand comes from and includes: Nativo Premium, Nativo Plus, Nativo Open and private marketplaces. Try these new tools today and gain deeper demand insights. From the most premium demand in the market to integrated third-party fill solutions, the Nativo platform offers publishers robust options for monetization. A new Monetization tab, coming soon, will provide publishers with greater controls to seamlessly manage demand. The new Monetization tab will provide publishers with a streamlined workflow for demand management. Publishers can opt-in to demand at the marketplace level and then specify allowed ad types, serving policy, pricing floors, and more. Within a given marketplace, it is simple to block a specific demand provider or ad type. Publishers can select to allow performance rate types and also set geographic restrictions. In short, the Monetization tab makes demand management simple. If you would like to be a Beta partner for the Monetization tab, please contact your Account Manager. Classes are almost back in session! Use our Back to School Checklist to tune up your content calendar for fall. It’s been a year of turmoil in digital advertising and consumer trust is a little shaky. Here’s a look at the current state of play in five charts. Designed to level the playing field and offer equal access to advertisers seeking publisher inventory, header bidding often has the opposite effect. Programmatic ad buying theoretically brings full transparency to ad buys, but the nature of the system often shrouds the process.